The historic climb to Lagos de Covadonga verified the good legs of Alejandro Valverde, who has completed two thirds of La Vuelta a España. The Murcian rider finished fourth in the ascent to the demanding Asturian mountain. 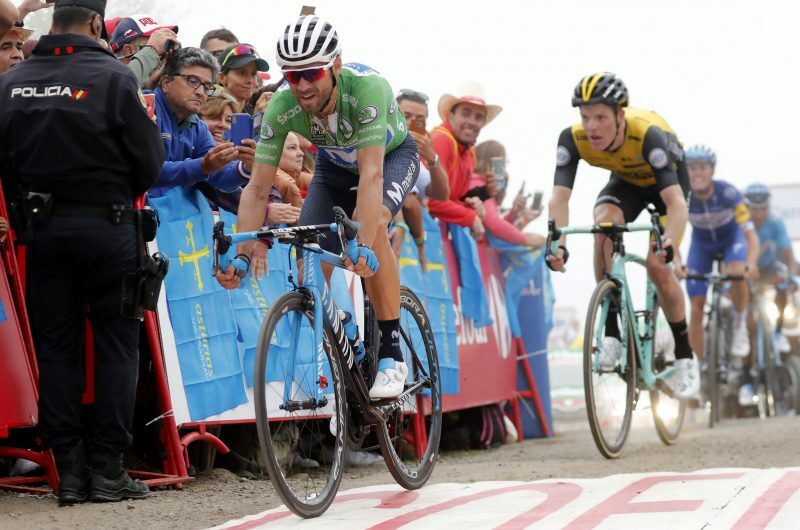 In spite of controlling several attacks by Simon Yates (Mitchelton-Scott) and Miguel Angel Lopez (Astana), he could recover time in the last part of this rise thanks to his indefatigable attitude. Finished the astur-leonés triptych, Valverde is second of the general classification, only 25” behind the leader Simon Yates, with only six stages ahead before arriving to Madrid. After the rest day on Monday, the riders will face one of the most important days of La Vuelta, an individual Time Trial of 31 kilometers between Santillana and Torrelavega that could be decisive in the outcome of the race. Quotes: It was another tremendously difficult day. I finished again with the top contenders, happily I’m still there. Astana set a really fast pace from way before the foot of the climb, and made things really difficult for the rest. Miguel Ángel launched a strong attack from near the bottom of the ascent and added some extra pain – which I sort of enjoyed, despite the pressure. It was a beautiful day, all things considered. It’s the fastest climb I’ve done to this climb in my career, no doubt. I tried to keep a steady pace, push at the front for Nairo when I was keeping the group’s pace, then also attempting to lose not too much time. I also tried to close the gaps when they attacked, just like I did when Yates. Nairo told me: ‘Go for him! Go for him!’. I tried to have some air, went after Yates, but then struggled a bit more. As I once again got dropped, they continued to attack, but they stopped afterwards. I tried to continue going as steady as possible, and knowing the final part was less steep, made a final effort to bridge back.